Atwood Magazine is excited to announce our newest column, Viewfinder, a column revolving around music videos, and how a piece of music is synergistically enhanced by well-produced visuals. Love and loss are the two most universal human emotions; opposite sides of the same coin. Naturally, songs about both ends of the emotional spectrum are some of the most frequently recorded tracks in music, no matter the genre. Heartbreaking lyrics and poignant instrumentals go a long way in conveying a songwriter’s inner turmoil, but when it comes time to set these songs to an accompanying visual, it’s not often that the video complementing the track lives up to the emotional depth of the lyrics. 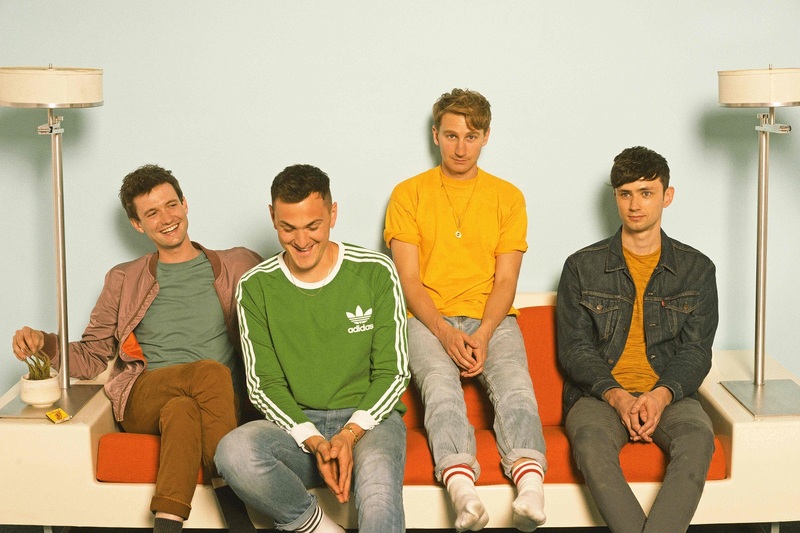 Which is why when Glass Animals recently released a video for their track “Agnes” off their LP How To Be A Human Being, it resonated with fans and viewers alike. Bayley went on to write that the most surprising physical effect of the centrifuge was the way it affected his heart, noting “You can actually feel it struggling to beat and changing shape…flattening inside of your chest. It’s similar to that horrible sinking, tugging heartache that comes only with complete and overwhelming sadness. And then you pass out.” It is obvious that “Agnes” is an incredibly personal song for Bayley, and the physical agony of spinning in a human centrifuge was an attempt to bring the simmering emotions of the lyrics to the screen. At times the video is almost uncomfortable to watch, as Bayley visibly struggles to sing along to the song. Interestingly, the video also draws more attention to certain aspects of the instrumental, such as the robotic blips at the end of the track, and the synth line before the chorus which sounds like a machine powering up. The music video for “Agnes” recalls a similar video where another band also chose to represent emotional weight with physical struggle. “No Surprises” was the third single released by Radiohead off their classic 1997 album OK Computer. Much like “Agnes,” the video for “No Surprises” solely features a close-up of frontman Thom Yorke. Directed by Grant Gee and shot in one continuous take, the video shows Yorke wearing a fishbowl-like helmet that slowly fills up with water as he sings the lyrics to the track that are reflected on the helmet. It seems as though Yorke holds his breath for an inexplicably long amount of time before the water drains out, but Radiohead’s 1998 tour documentary “Meeting People Is Easy” provided a behind-the-scenes look at the video-making process. The track was actually sped up during the shoot, and multiple takes were required before they settled on the final version used in the video. The video for “No Surprises” simulates the experience of being slowly drowned alive, and in doing so, draws a stark comparison to the opening lyrics “A heart that’s full up like a landfill/ A job that slowly kills you.” The protagonist in the song is gradually being suffocated by the rigors of daily life to the point of contemplating suicide, as evidenced by the lines “I’ll take a quiet life/ A handshake of carbon monoxide.” The lullaby-esque instrumental and almost apathetic vocal delivery belies the heavy subject matter, and it’s not until the last chorus that Yorke ramps up his vocals by repeatedly yelling the lines “let me out of here,” that the gravity of the song is fully realized. Despite being released twenty years apart, the two music videos share a plethora of similarities. In both videos, the artists are pushed to their physical limits, and tight close-ups of their faces lay bare every single emotion that flits across their faces. In both videos too, there comes some resolution at the end before fading to black. In “Agnes,” Bayley smiles as the centrifuge slows down, while in “No Surprises,” Yorke looks almost triumphant after coming up for air when the water drains out. The bands clearly wanted more out of their respective videos than the usual shots of band members going through the motions and playing their instruments along to the track. In choosing to convey emotions through physical struggle, both bands produced videos that stood up to the emotional heft of their songs.